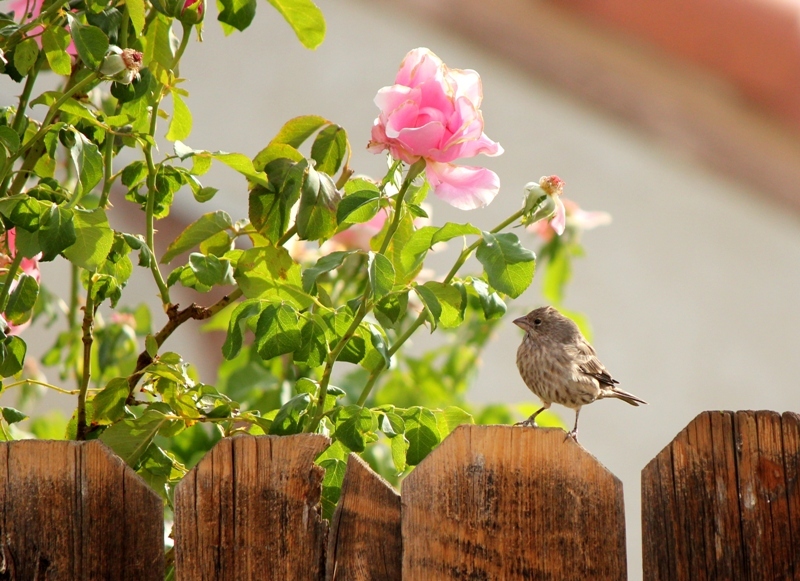 Image | This entry was posted in Photography and tagged birds, finches, house finch, photograhy. Bookmark the permalink. What a gorgeous but delicate pink that is. The little guy seems so surprised to see the pink flowers! Hi to you, too. Hope you are well.